Hyacinth Latin ( Eichhornia crassipes ) plant use for health are not widely known by the public. Because plant hyacinth is one type of aquatic plants known as crop pests. 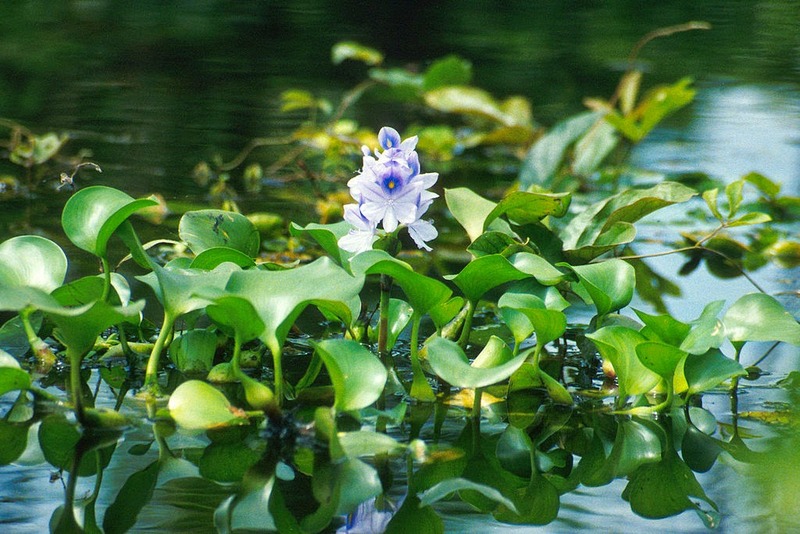 Water hyacinth has properties very rapid growth, easy to spread to cover the surface waters such as rivers and swamps. If the population is very dense water hyacinth, the negative effects that can arise is flooded. Until more people are often destroy these plants. However, lately the water hyacinth plant widely used as handicrafts and souvenirs. It turns out that in addition to be used as crafts material, water hyacinth also has benefits for treating some diseases. Here's an article that discusses the benefits of water hyacinth in treating some diseases. 1. Water Hyacinth Trunk stew to Facilitate Diabetes. Simple recipes such as boiled cooled water hyacinth stems and taken three times a day was found to facilitate urination. Urine is not smooth is a disease that often affects the elderly are caused by infection or the presence of urinary tract stones that cover, for example, kidney stones, etc. Ulcer is one type of disease that can be treated with water hyacinth. The pain may be alleviated ulcers and ulcer size can be compressed with leaves or roots of water hyacinth. It's easy, simply by mashing the leaves or roots of water hyacinth and mixed with salt to taste. After that, simply by attaching the subtle impact on the boil. One of the water hyacinth plant use is to treat swelling or bruising due to falls or bumped. Water hyacinth plant parts that are useful for treating bruises is stalk leaves. Almost the same way by making recipes hyacinth to treat ulcers. Simply puree hyacinth stalks and stick it over the swollen body parts and then wrapped with a cloth. So swelling or bruising will subside by itself without having to use drugs. Heartburn is a health disorder that is often experienced by everyone both adults and children. Natural recipes for treating heartburn can be tested by using water hyacinth leaves are boiled and then drunk the water two or three times a day. Thus the usefulness of water hyacinth plants that had only seen as pests. With the use of information for the water hyacinth handicraft and health, water hyacinth will no longer be destroyed in vain.